Offering real value for money when new, things are no different when the Skoda Octavia becomes a used buy. More practical than the Golf it shares its chassis with, and just as entertaining to drive, the Skoda is a cracking all-rounder. Wide range of engines, two body styles and decent standard kit levels make it a sensible choice. The first Skoda Octavia arrived in 1996, and offered buyers far more space than the VW Golf, whose platform it shared. By the time the MkII landed in 2004 rivals had caught up, but the Octavia still majored on practicality and value for money – guaranteeing popularity with family buyers. Estate models are particularly wise choices (though Irish buyers aren't big fans of estates) and with the right engine choice the Skoda can be a surprisingly good workhorse. Available as hatchback and Combi estate, the Octavia has always put practicality and space first. But its list of talents doesn’t stop at the supermarket shop or school run – there are also turbocharged RS sports models and even a jacked-up Scout version with tough body cladding and capable four-wheel drive system. The petrol engines range from the excellent 1.2 TSI unit to the 2.0-litre turbo found in the hot RS, while there are also two 2.0-litre and one 1.6-litre diesel to choose from. The latter are understandably popular, but unless you are likely to cover massive mileages the range of turbocharged small capacity petrol engines are worth a look as well - for the private buyer anyway. Taxi drivers swear by the diesels. Classic models are sparsely specified, but buyers can also choose from Ambiente, Elegance and luxurious Laurin & Klement trim levels. Those concerned with the environment should look at the newer Greenline model using the 1.6-litre TDI engine, returning 3.8 litre/100km and emitting only 99g/km CO2 as a hatchback. The manual gearboxes are good, but the DSG dual clutch automatic transmission comes from the Volkswagen Group and remains one of the best on the market. Mated to the correct engine this can make for rapid but refined progress. Along with changes to the exterior and interior, a seven-speed DSG auto was introduced in 2009 when the range was facelifted. 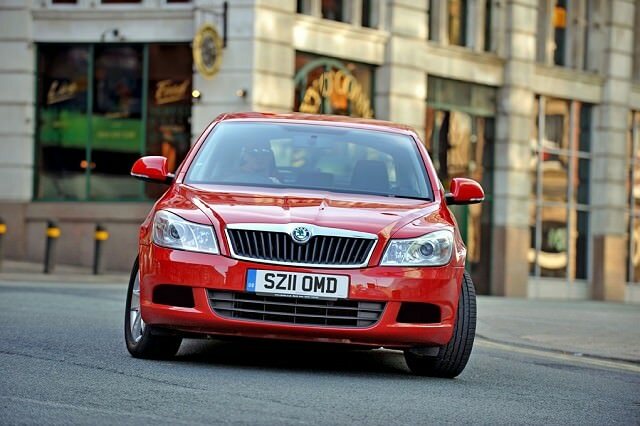 Following a couple of heavy winters Skoda Ireland introduced four-wheel drive to the line-up in 2011. There’s no doubt the post facelift cars (2009 onwards) are the best of the bunch – the changes to the interior lifting the Octavia further upmarket – and it’s worth making your budget stretch to one if you can. It’s the new 1.4 TSI petrol engine that really impresses as well, with a smooth power delivery and sensible fuel returns. And as the hatchback offers 560 litres of load space, unless you’re desperate for an estate the hatchback should be practical enough for most.